Book by April 30, 2019 and received 20% off regular per person price. The Bruce Trail Iroquoia section runs through a beautiful section of Hamilton/Halton regions along the Niagara Escarpment. It is home to 120 waterfalls, giving Hamilton the title ‘Waterfall Capital of the World’. Imagine being immersed in a scenic getaway full of waterfalls, Carolinian forests, with vast variety of plants and wildlife. 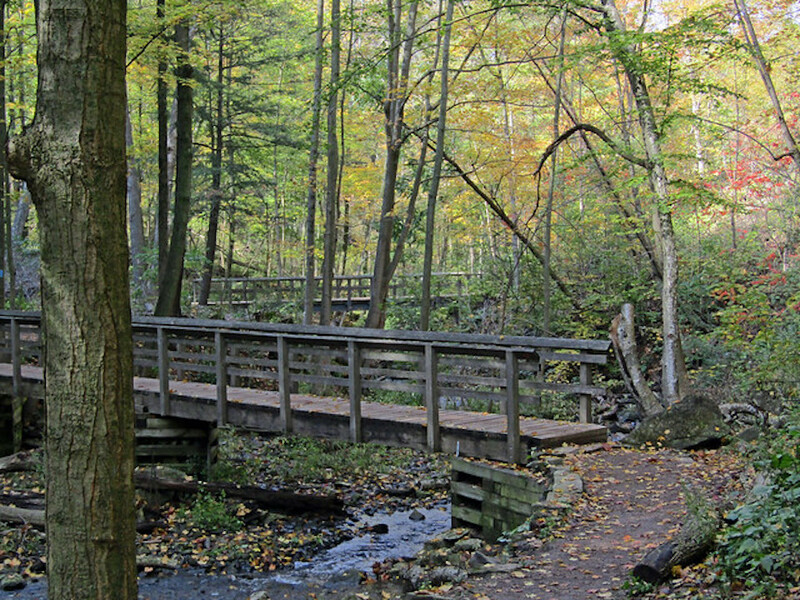 Our Bruce Trail Waterfall Walk provide participants with unique tour in one of South Ontario’s most scenic locations. Full of gorgeous, relaxing waterfalls, the Bruce Trail is the ultimate place to be for all scenic lovers. Our experienced interpretive guides are highly skilled and knowledgeable to guide you along the trails and ensure that you have the best experience possible. Whether you enjoy hiking, taking photos, want a getaway for a couples or girl’s weekends, or simply just want to experience the Fall Colors or Spring Run-off this trip is for you! – Access to dozen+ waterfalls waterfalls along Niagara Escarpment i.